“Having been in the works for almost a year, the time has finally come for us to proudly announce the release of our first ever vinyl project. Although this kind of project is definitely a first for us, we’re very grateful to be able to invite back to center stage once more one of the label’s oldest contributors – Handbook. This time around, Handbook has pulled out all the stops to present us with a 6-track EP worthy of such a special occasion. 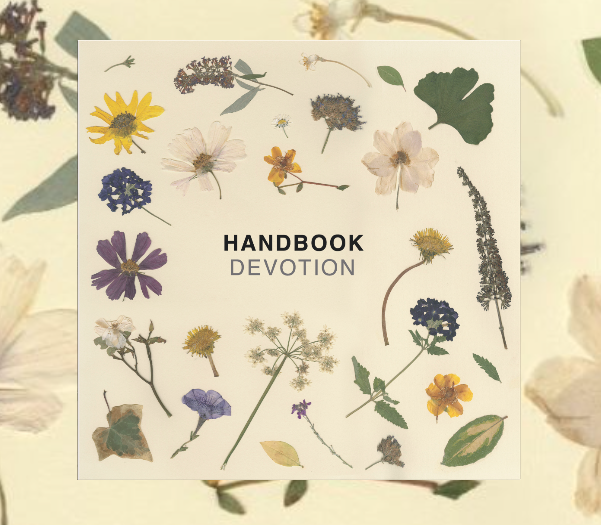 ‘Devotion’ -the record’s title and underlying theme- was chiefly inspired by Handbook’s personal experience of music creation as an almost spiritual exercise. For him, this record symbolizes the culmination of his efforts towards developing a dedicated and passionate work ethic. Even in between all the gaps of real life -be it work, personal or otherwise- he has always been able to find the time to discover and absorb inspiring sounds wherever he is able to. As a consequence, ‘Devotion’ embodies his attempt at merging sounds from a variety of different origins whilst, at the same time, preserving that classic Handbook sound. The album artwork comprises a digitized version of a physical piece of artwork which uses a wide variety of plants and flowers in order to make the arrangement. Preserving the organic material required these plants to be carefully pressed and dried over extended periods of time. In creating the artwork for this release, we felt there would be no better way than to use this same method to represent Handbook’s tendency towards producing organic, full-sounding instrumentation. At a time when the music industry is saturated with producers who clone each others sound & it is seemingly impossible to find an artist with their own identity, their own sound & style. Handbook stands head & shoulders above the masses with a sound that is unmistakably Handbook. This release also features a track with the immensely talented Supreme Sol. So what you waiting for? Hit the link & Pre-Order your vinyl today!